Grab your camera, go out and shoot! Probably for the same reason I would. While impressive there's very few lightweight RF lenses. In fact so far there's the 35mm 1.8 and just a 24-240 on the horizon. Granted, the RF24-105 is cheap and suitable for a lot. I think Canon wants first to show off and make clear that they are very serious with their R system. As others here I am pretty confident that we'll see soon more lighter, smaller lenses (zooms) that aren't that fast for the RF mount. The RP is already a hint that Canon makes a move into a more consumer oriented market segment. Btw with heavy lenses you always should keep in mind, that Canon helps you to train your physis - for free . When I take e.g. my heavy EF 500mm lens out for birding I regard it always as a photography-sports combo. It is capable of delivering beautiful images while using it freehand as a sort of dumbbell - a classic dumbbell can't do that, so it is really dumb . 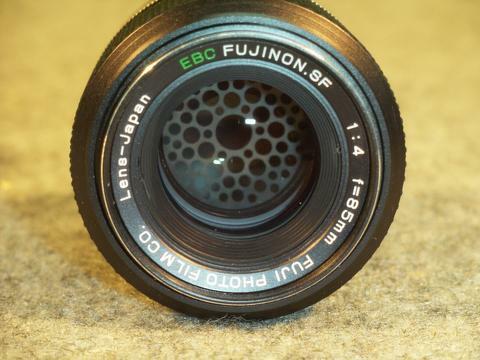 Good idea, in particular the 135mm would be a great light and compact successor to the famous EF 135 mm f/2. The EF 400mm f/4 DO II proves that Canon has a really mature diffraction optics lens technology now. Was thinking getting the Nikon 135mm DC and adapt to Canon body. Agree. Looking at the release, they are targeting the higher end and lower end mass where smartphone market are not able to reach. looking at the RF 70-200mm, seems like it is shorter than the EF version and similar to the EF70-300mm. I believe the RF would bring more disruption to the wide end of the lens (like the RF15-30mm and the RF35mm). Sorry for the delayed reply, I was quite busy. Theoretically, because of the 2mm flange distance difference, a flat EOS RF-M adapter would be feasible. But I guess a full electronic compatibility including AF could be a problem because the electronics would have to be stuffed into such a flat ring without underminig its mechanical stability. Simple mechanical adapter rings wouldn'd be such a problem IMO, so I wouldn't wonder if such brands as BIG, Fotodiox etc. will come up with such offerings. I think Canon regards APS-C and FF as two separate mirrorless markets now, and this seems to fit into the current trend. 10-15 years back, an EF-S to EF compatibility in the DSLR market was wise, because the much more affordable crop sensors then helped people to go digital. The perspective that they still could use their EF lenses they already had surely helped to take the plunge. In Fuji's case it is not compatible with phase-detect AF. That's inevitable, but of course as a latest development, the light loss might not be as severe. Personally, the EF 85/1.2 already hits the mark, where the blur doesn't need to be smoother still (for way less money). Looking at STF examples, in some cases it looks too smooth for me to the point of not being as characterful. The EF 85mm f/1.2 L (and II) get that smooth bokeh because they leave a lot of field curvature uncorrected. That means they don't do well shooting flat test charts at short distances, which is apparently the holy grail these days of judging how good a lens is, even for photographic tasks that in no way resemble shooting flat test charts at short distances. The EF 85mm f/1.4 L IS, for instance, is much more corrected for field curvature. It's bokeh is more between "meh" and "bleh" than "creamy" when used wide open. But many folks think it is a much "better" portrait lens because it "is so much sharper on the edges" (when shooting flat test charts at relatively short distances). By the way, if test charts were shaped like a portion of a sphere, lenses with uncorrected field curvature would wipe the floor with highly corrected flat field lenses, which are designed specifically to image flat, two-dimensional subjects that are perpendicular to the lens' optical axis. The EF f/1.4 IS is very new and fantastic. My point exactly. See above. Speed of focusing will be interesting. The RF 85mm 1.2 II is slow (but 1.6 times faster than the 85mm 1.2 original). That's because it is basically a double Gauss design with the entire front group moving when the focus is moved. That's a lot of mass to move! Get the EF 85 1.4. It is a FANTASTIC lens. It'll probably one of the later lenses to be updated to RF since it was released recently. If you can get stopped down ( 2.8-ish ?) sharpness from a 1.2 lens and still keep the 1.2 style bokeh, that's amazing. It's really kind of the reverse. You get f/1.2 bokeh, but the light transmission is usually around two stops darker, so about T2.5 for an f/1.2 lens. And they weren't known as "soft focus" lenses for no reason back during the last big fad for them in the 1980s. Maybe this is one of the "concept lenses" which were mentioned by Mr. Mizoguchi in the interview with Dave Etchells at Imaging Resource. It's not really that new of a concept. 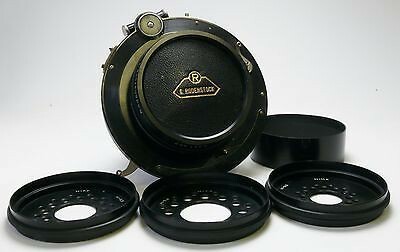 LF lenses like the Rodenstock Imagon have had "sink strainers" that do the same thing for 100 years. This got to be a fad with 135 format SLR lenses in the late 1970s and the 1980s. Here's the way Fuji did it. hmm would be nice if canon prints little lens test pattern inside lens cap ,everyone would have then equal tool to test their lens copy quality . everyone takes pic from it from 2meter away and compares 100% crops. You are right, but before, the 1 inch sensors of high-end compacts, followed later by micro four thirds will be at risk. But generally, the classic camera makers will more and more be under pressure by the freaking fast progress in the image processing technology used in smartphones.